Magic of the orchid. Doesn't it sound, well................magical? Ok. 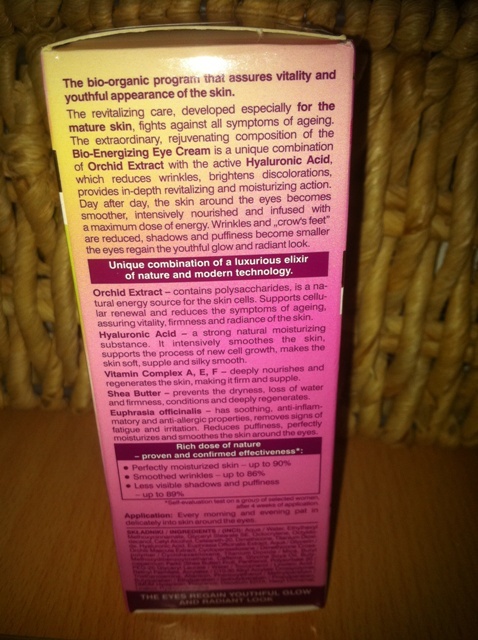 I am writing a review about this product although I didn't age over night. Well, I did but not as much as one would think since this is an eye cream for mature skin. 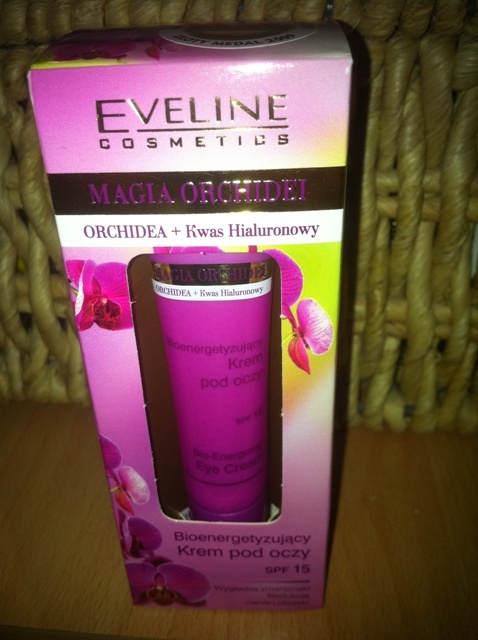 I bought it in Kozmo but in Croatia you can find Eveline products in all drugstores (DM, Bipa, Muller...). Paid 39,90 kunas for it (about 4 GBP, $6, 5.20 Euros). It comes in a small 15 ml/0.53 fl.oz. tube. Don't worry, it doesn't seem much but it will be enough for at least three months. I didn't worry about the fact that it was for mature skin because I thought that if it shows as too agressive for me, I can always give it to my mother. And Mom, if you are reading this, I don't think that you are old, just a little bit more mature?! The reason I bought it was that with every new day I've been noticing more and more fine lines under my eyes (Fine lines? That sounds so much better than wrinkles but we all know what they are). Do you remember the days when we could just buy something from Avon's Naturals line? All we had to do was pick a colour or scent we liked the most. a maximum dose of energy. Wrinkles and „crow's feet” are reduced, shadows and puffiness become smaller the eyes regain the youthful glow and radiant look. 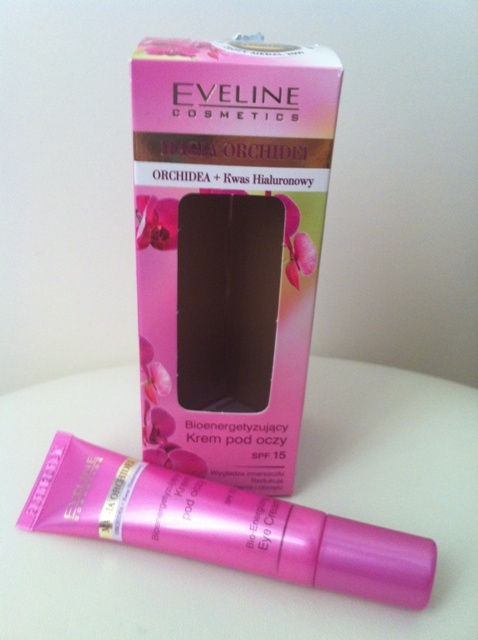 Unique combination of a luxurious elixir of nature and modern technology:Orchid Extract – contains polysaccharides, is a natural energy source for the skin cells. 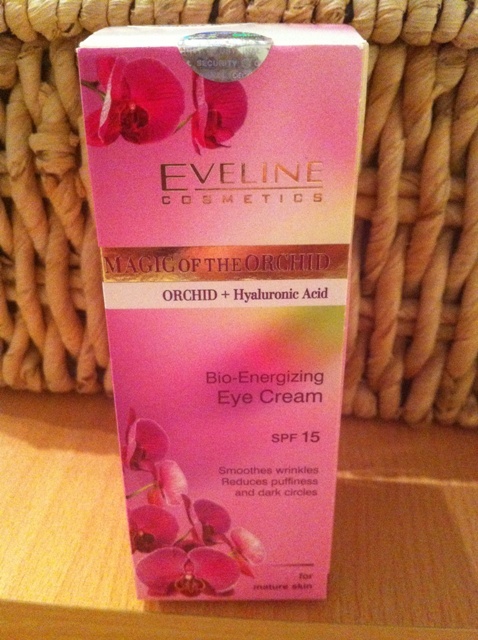 Supports cellular renewal and reduces the symptoms of ageing, assuring vitality, firmness and radiance of the skin. 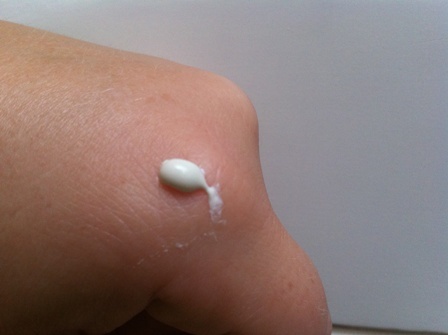 Hyaluronic Acid – a strong natural moisturizing substance. It intensively smoothes the skin, supports the process of new cell growth, makes the skin soft, supple and silky smooth. Vitamin Complex A, E, F – deeply nourishes and regenerates the skin, making it firm and supple. Shea Butter – prevents the dryness, loss of water and firmness, conditions and deeply regenerates. Euphrasia officinalis – has soothing, anti-inflammatory and anti-allergic properties, removes signs of fatigue and irritation. 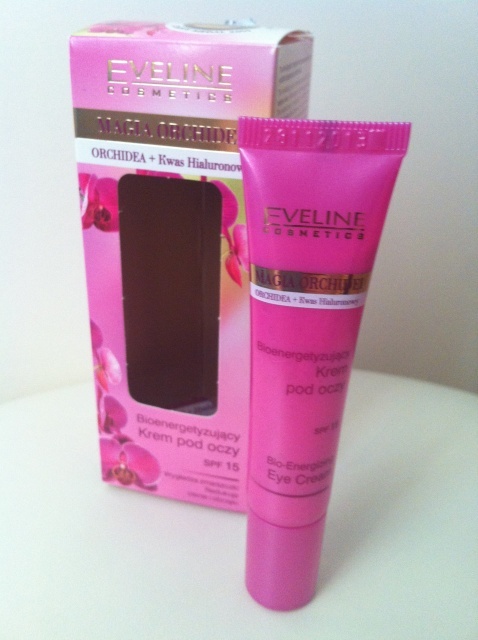 Reduces puffiness, perfectly moisturizes and smoothes the skin around the eyes. *Self-evaluation test on a group of selected women, after 4 weeks of application. For best results apply every morning and evening. Of course all above in italics are words of the company. I don't entirely agree with them. In my opinion, this is an OK cream. I like the consistency of it because it is a cream but acts like a gel. Even if you put too much product it will absorb nicely to your skin. It won't leave any oily residue around your eye which means that you can go on with your morning routine and start applying makeup almost immediately. But....my fear that it will be too strong for my young wrinkles wasn't justified. I am a person with first fine lines, without a lot of puffiness and dark circles (thanks to my genetics) and this product didn't work on that areas for me. Meaning, when I didn't get enough sleep I looked tired and a bit puffy, my skin had its fine lines in all their glory. So, if it didin't fight and smooth my newly developed wrinkles I am wondering what it would do for someone with a mature skin. If any of you more mature ladies tried this cream, please let me know how it worked for you below. Yes, it did hydrate my skin but that was the end of it. Ingredients: aqua/water, ethylhexyl methoxycinnamate, glyceryl stearate SE, octocrylene, octyldodecanol, cetyl alcohol, ceteareth-20, dimethicone, titanium dioxide, hyaluronic acid, euphrasia officinalis extract, acquy/glycerin/orchis mascula extract, cyclopentasiloxane/dimethicone crosspolymer/cyclohexasiloxane, titanium dioxide/mica, butyl methoxydibenzoylmethane, caffeine, glycine soya oil, butyrospermum parkii (shea butter) fruit, panthenol, polysorbate 20/PEG-20 glyceryl laurate/water/tocopherol/linoleic acid/retinyl palmitate, acrylates/C 10-30 alkyl acrylate crosspolymer, triethanolamine, allantoin, phenoxyethanol/methylparaben/butylparaben/ethylparaben/isobutylparaben/propylparaben, DMDM hydantoin, fragrance, disodium EDTA, hexyl cinnamal, linalool, hydrokycitronellal. In translation, if you are anti parabens, this is not a product for you. I don't want to end this post with an entirely negative tone so for the positive side I must say that this cream has SPF15 which is always a good thing and the product was not tested on animals! In the end, this cream doesn't have a holy grail status. It is hydrating but it will loose the battle with your existing wrinkles and fine lines. Have you tried it? What do you say? I'm in the market for a new eye cream. Any suggestions?